Surwanti, Arni. 2013. Studi Modified Pecking Order di Bursa Efek Indonesia, Jurnal Manajemen & Busnis. Corporate Cash Holding And Speed Of Adjustment To The Target Of Indonesian Firms, The 2016 International Conference on Management Science (ICoMS) University of Muhammadiyah Yogyakarta, University of Muhammadiyah Yogyakarta. The Analysis of Protection and Fulfillment The Rights of Persons With Disabilities in Gunungkidul District of Yogyakarta Province, The 2016 International Conference on Management Science (ICoMS) University of Muhammadiyah Yogyakarta, University of Muhammadiyah Yogyakarta. 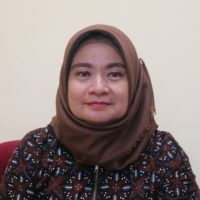 Adjustment To Target Capital Structure Of Indonesian Firms: Dynamic Capital Structure Model , The International Infrastructure Conference (IICON 2014) - International Conference on Business & Management (ICBM), Infrastructure University Malaysia. Dynamic Capital Structure of Manufacture Industry in Indonesian, International Conference in Management & Science Tamkang University- Taiwan.